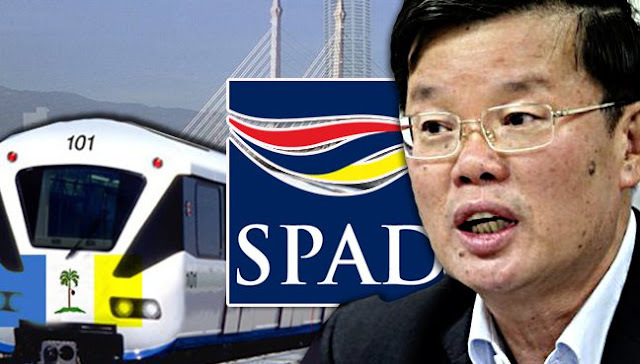 GEORGE TOWN: The Penang state government has submitted its proposal on the first line of the Bayan Lepas light rail transit (LRT) project to the Land Public Transport Commission (SPAD) for approval. State Local Government, Traffic Management and Flood Mitigation Committee chairman Chow Kon Yeow said the official application was submitted through the State Secretary’s office last Tuesday to SPAD. “This is the first line of the LRT project under the Penang Transport Master Plan (PTMP), from Kompleks Tun Abdul Razak (Komtar) to Bayan Lepas,” he told reporters after the launching of the Penang Transport Master Plan website by Chief Minister Lim Guan Eng here today. However, according to the preliminary railway scheme, the alignment will start from Kompleks Tun Abdul Razak (Komtar), pass through Jelutong, Gelugor, Bayan Baru, Bayan Lepas, Penang International Airport before it ends at the proposed Penang South Reclamation site. It stated that the feasibility study was conducted in 2014 and this was followed by reviews and engagement with key stakeholders while the state government had granted approval in principle on Jan 13 this year. It was reported earlier that the state government had appointed the SRS Consortium, a joint venture comprising Gamuda, Ideal Property Development Sdn Bhd and Loh Phoy Yen Holdings Sdn Bhd, as the Project Delivery Partner for the Penang Transport Master Plan projects. The RM27 billion Penang Transport Master Plan projects also consist of a 6.5km undersea tunnel, three highways and Penang Sky Cab.